-Utilizes all OEM housings. Appears unmodified stock from the outside, great for dealership visits. This is not a TD05 CHRA fitted into the housings like other Stage 2 offerings. As previously mentioned: Our Stage 1 customers maintain the option of exchanging for the Stage 2, and receiving purchase price credit towards the Stage 2. -Yes, we are building these for gen.1 pneumatic turbos and gen.2 EWG turbos. All N55's early and late model. 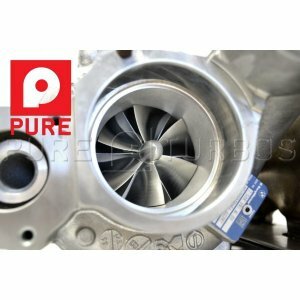 -Yes, you will need additional fueling to reach the power potential of this turbo. A meth kit or port injection is recommended. -These high-compression BMW turbo engines need both additional fuel volume and octane to run high boost / high power levels.